Mumbai’s Marine Drive is the city’s best known image on a postcard. In bygone days (and to a lesser extent today), when skyscrapers implicitly meant modernity, this giant arc of reclaimed land bordering the sea and backed by stacks of Mumbai high rises was the city’s signature view. At night, lit by the city’s electric lights and the headlights of passing traffic, it became ` Queen’s Necklace,’ the other name by which Marine Drive is famous. Mumbai’s romance with skyscrapers continues. But like in humanity’s romance with the automobile, a tall building is no more indisputable modernity. The idea of modernity has become more textured. The road along Marine Drive is approximately three kilometres long. Cars and bikes zip on it. Between the road and the Arabian Sea is a paved area spanning almost the entire length of the arc. Over the years, it has become the postcard view of Mumbai-running. Early morning and evening, the paved area fetches walkers and runners. During weekends, their numbers rise, some of them running to Marine Drive from distant suburbs. Best known of these rituals is probably the monthly Bandra-NCPA run, happening the first Sunday of every month. A late evening in 2009, a young man from Shikarpur in West Bengal’s Bardhaman district, stood on Marine Drive. He was born into a poor family. He studied only till the sixth standard. His father worked as a farm labourer and his earnings were too little for family of six – parents; two sons, two daughters. 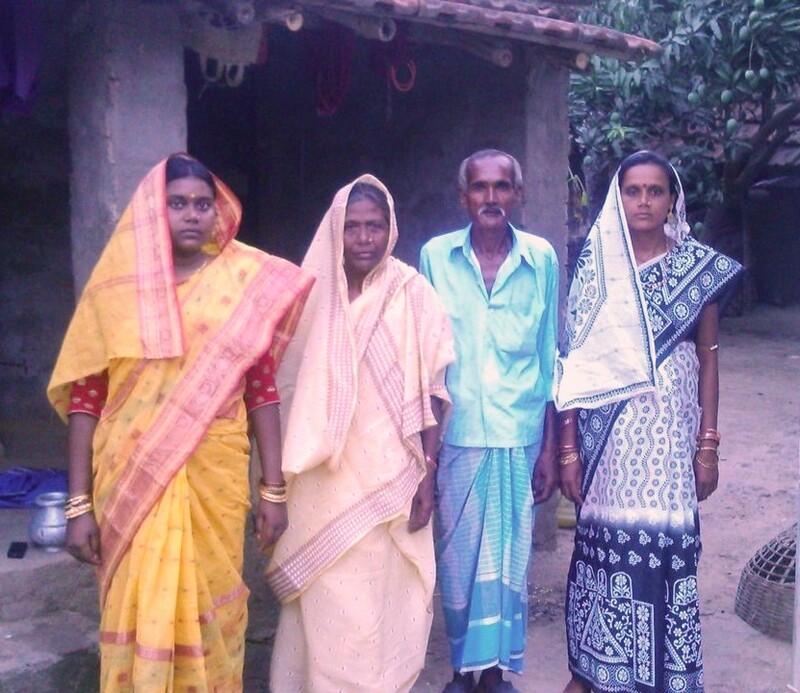 Although his elder brother managed to become a post graduate, our young man had to stop studies by the sixth standard to free up money to educate his sisters. The compulsion to find work struck early. Many from Shikarpur ended up as gold workers in India’s jewellery business. The young man moved so, first to Sidhpur in north Gujarat where he worked for two years on a monthly salary of Rs 2000-2500. Then he shifted to Mumbai, joining a unit where he learnt to polish gold jewellery. Days were tough. Working hours were long. As a youngster learning the ropes, he often ended up fetching water and cooking for 12-15 people. That late evening in 2009, Abbas Sheikh was out on a stroll with friends after yet another long day polishing gold. Going to Marine Drive after work had become a regular practice and it was on one such visit that Abbas noticed Mumbai’s runners on Queen’s Necklace. His daily life was classic Mumbai (minus perhaps extensive commute for he stayed with other gold workers in town). It was clock-work, in tune with the timings and hours of the industry he worked for. It was a routine. From all over India, people reach Mumbai for such industrial routine. They find one and cling to it, till the human being’s natural restlessness rebels and seeks expression. Often, you don’t know you are restless within, you don’t know what you want till a hint of something different from the regular, passes you by. Abbas watched the runners pass by. Why not run like them? – He thought. “ Mujhe kuch bhi pata nahi tha running ke bare me (I didn’t know anything about running),’’ Abbas said recalling that Marine Drive-moment. Back then, inspired to run, he spent some money from his frugal earnings to buy track pants and a pair of ordinary sports shoes. “ I was too embarrassed to run in shorts,’’ Abbas said laughing. 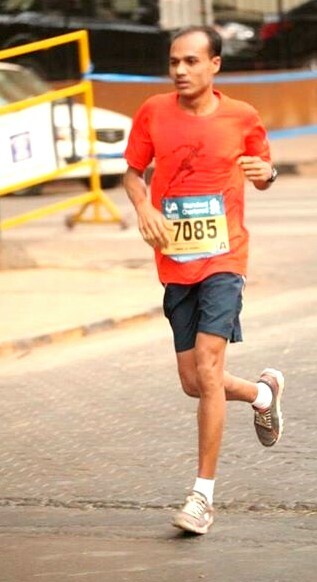 Abbas Sheikh is now among Mumbai’s best known ultra marathon runners. Shivaji Park in Dadar is one of the city’s active lifestyle zones. People play, exercise, walk, run – it is also venue for an ultra marathon, a 12 hour endurance-run that Abbas had participated in. We met Abbas near his work place in Sewri. The local Udipi restaurant was crowded, not to mention – you don’t get to sit for long in such busy eateries. And as it happens sometimes, both journalists went blank in the head when it came to recalling an alternative suitable joint nearby. The search for a place to sit and chat over coffee brought us all the way to Shivaji Park. We took a taxi; then walked. Unlike journalist shaped to slouch by typing, Abbas walked confidently. He has a light frame, emphasized further by the spring in his runner’s legs. Marine Drive and thoughts about how to get into running – that was long ago. Abbas now wore Mizuno shoes. We sat down at a cafe to hear his story. Not long after that Marine Drive-evening, in his initial phase of running in Mumbai, the daily runs were avenue to discover both running and runners. Abbas was intrigued by the urban idea of running for running sake. He does not recall anything by way of running in Shikarpur. In his narrative, the village came across as nothing more than home; the starting point of his life transforming from nondescript to engaging with the advent of running. People running for the love of it, was for him, a totally Mumbai phenomenon. There was one thing in this craziness that he couldn’t comprehend – the distances people ran. They seemed to run and vanish. Over time, he had come to recognize the regular runners on Marine Drive. But unlike him confined to the length of Queen’s Necklace, their running didn’t seem to have an end. They rarely returned the same way. Once he chased after a couple of runners and tracked their progress, realizing in the process the existence of a concept called distance running. Emulating them, Abbas also increased his daily mileage. He began running long distances but had no idea of how to assess the distance. He thought he was doing 6-7 kilometres, when in reality he was running three to four times as much, sometimes more. Slowly he too was recognized as a regular and included into their fold by a group of runners. According to him, it was runners Dev Raman and Purvi Sheth who introduced him to the well known coach, Savio D’Souza. The improvement in his performance since has been remarkable. At the 2013 Bangalore Ultra, he won the 75 kilometre-run. In 2014, Abbas ended up winner in the 100 kilometre-run at the same event. He has also won the Mumbai Road Runners Runner of the Year (Male) award for the year 2013 and 2014. The journey was not without its ups and downs. “ In the early days, I used to get frequently injured,’’ Abbas said. It was the typical learning curve of the self taught and self made. But his biggest injury had nothing to do with running. It happened ahead of what would have been his first Standard Chartered Mumbai Marathon (SCMM), the 2011 edition. One day he slipped and fell at the place he resided with fellow workers. “ I was in a very bad shape,’’ Abbas said. The first hospital he went to, the X-ray machine wasn’t working. So his friends took him to St George hospital near Mumbai’s CST railway terminus. There, X-ray done, the injury revealed itself as a broken femur. The doctors said he required surgery; a rod had to be inserted to hold the broken section together. Fearing the cost of hospitalization in Mumbai, Abbas and a relative took the next train to Bardhaman. He endured the journey. The required operation was done in West Bengal. He was advised six months of absolute rest and recuperation. Abbas was back in Mumbai after three months. Slowly, he resumed his running, inching his way back to form by himself. The rod and screws are still there in his leg. In December 2011 he ran the full marathon at the Pune International Marathon. It was his first time at a running event and he was completely new to the experience. “ I ran without any strategy. Whenever I heard loud music, which was played here and there on the course, I ran fast and slowed down later. I thought music meant you should run faster. Then, halfway through, I felt very tired. I happened to see a guava fruit seller. I bought a guava from him and sat on the sidewalk to eat it. I resumed running when I saw some fast-paced runners go by,’’ he said. By the end of the Pune Marathon, Abbas had learnt an important lesson about long distance running – you don’t run at a blistering pace; you have to plan your run and train in a systematic manner, hydrate well. Soon thereafter, he became a regular at many major running events. Among them – SCMM, Vasai-Virar Mayor’s Marathon, Hyderabad Marathon, Goa River Marathon, Satara Hill Marathon and the Bangalore Ultra. Currently, every morning at 5AM, Abbas leaves his quarters and heads to Marine Drive. Most days, he runs 10-15 kilometres, some days, he puts in 30 kilometres. On an average he does 80-90 kilometres per week. “ He is good. He has good endurance,’’ Savio said. According to him, the rod and screws don’t interfere with Abbas’ running. 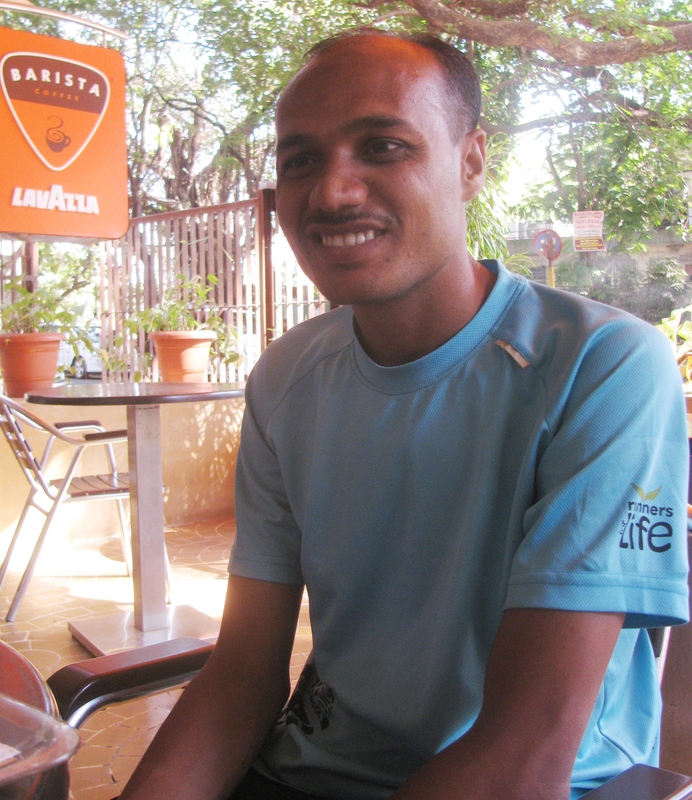 Being with Savio’s group – Savio Stars – has helped Abbas address some of his needs in running gear. He also helps Savio with his coaching work. Although he has run other distances, Abbas said, his preferred discipline is the ultra marathon. He plans to try the 24 hour-run at the 2015 Bangalore Ultra. His participation in events is limited by availability of resources; he doesn’t have much money to spare. For instance, he said, he would like to try the long distance running events in Ladakh. But Ladakh is a high altitude destination and anything at altitude entails considerable expense given the lengthy stay for acclimatization that is required. There is however a faint possibility that one of these years, he may get to participate in South Africa’s Comrades Marathon, the world’s oldest and largest ultra marathon. “ I hope so,’’ said the man from Shikarpur, who now calls Mumbai home because it is in this city that he gets to run. “ I love running,’’ Abbas said in Bengali accented Hindi. 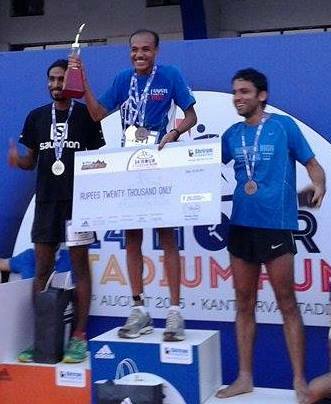 Abbas Sheikh on the podium after winning the stadium-run in Bengaluru, August 2015. UPDATE: Abbas Sheikh was the winner at the 12 hour-stadium run at Sree Kanteerava Stadium in Bangalore, early August 2015. According to him, he did 266 loops of 400 meters each covering a distance of 106.5 kilometres in the assigned time. “ It was quite a difficult run because we had to run in a loop of 400 meters. Loop running can be very tough. At one point I wanted to quit,’’ he said. Abbas had a fall right at the start of the run. For the last three and a half hours he chose to go barefoot. “ The ground had become hot. At the end of the day I can say I learnt to endure loop running although I prefer linear running any day,’’ he said. In November 2015, at the Performax Bangalore Ultra, Abbas finished second in the open category for men, covering 151 km in 24 hours. “ This is all I have. Make sure you don’t lose anything,’’ Savio said, handing us a small file. It contained old issues of Mid-Day, Sportsweek and The Daily plus a plastic sleeve with a few photos stained by age. The former national champion in the marathon used to have more photos from his life in running. The file opened a window to a Mumbai no more there. 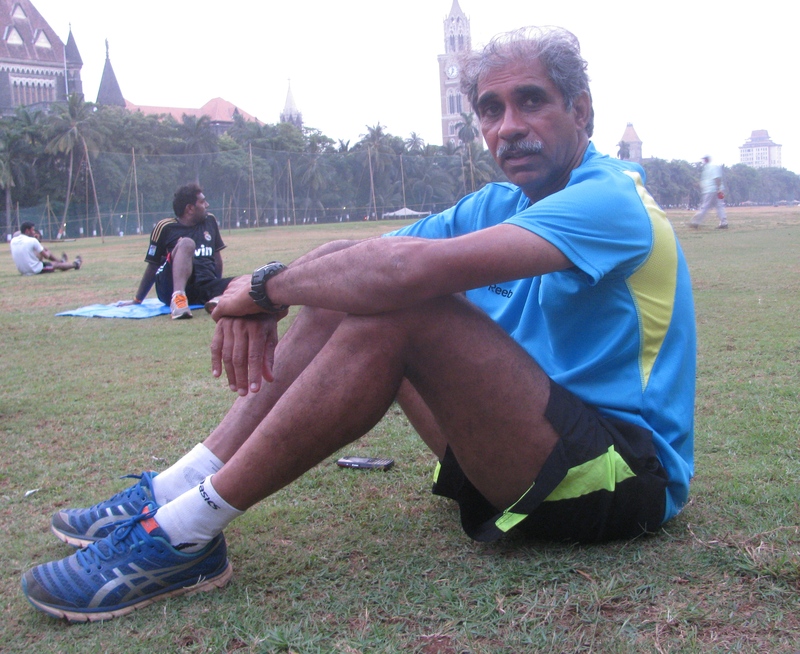 Sixty one years old, Savio D’Souza, is today a busy coach, training runners in a city that has become India’s running capital thanks to the iconic Standard Chartered Mumbai Marathon (SCMM). That would seem a fine situation to be in except for two points Savio made in his characteristic in-your-face fashion. The SCMM started in 2004. While the annual marathon got many people into running, those latching on to the sport from Mumbai largely belonged to the 30 plus age group. Because of it, Savio said, there were no timings significant to Indian athletics, to report from the Mumbai lot. In 2015, the women’s national record in the marathon was broken by Kerala’s O.P. Jaisha at SCMM. But timings by runners from Mumbai were nothing significant. On the one hand, running had become a movement in Mumbai. On the other hand, it was far from being cutting edge performance by any Mumbaikar. “ We have a large body of recreational runners. But where are the real athletes? There was a time when Mumbai and Maharashtra produced great track and field athletes. Now the city doesn’t feature anywhere in that department. States like Kerala, Manipur – they have all gone ahead,’’ Savio said. And paradoxically, none of the states which overtook Mumbai and Maharashtra to prominence in athletics have an event comparable to SCMM in size or such a large body of recreational runners around. The paper clippings in Savio’s file dated to the early and mid-1980s. As fragments of media from the past they told a story. There was a report from November 24, 1986, about Savio winning the Pune International Marathon, beating Stephen Marwa of Tanzania to second place. Marwa had been winner of the event in 1984. 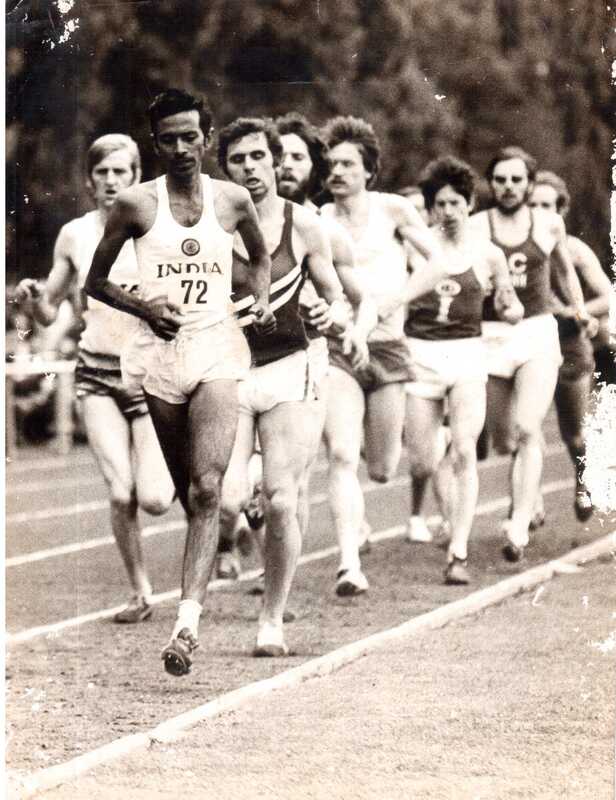 The 1984 Pune International Marathon (the second edition) had been Savio’s first major marathon, wherein he finished first at the national level and third internationally (Marwa was first). In his second marathon – the Singapore International Marathon – Savio finished 18th, reducing his timing by a wide margin. Later at the Hong Kong International Marathon, he was placed 13th (profiles on the Internet say he placed ninth in Hong Kong at the 1986 edition of the event). Savio had his beginnings in the 1500m, 5000m and 10,000m disciplines. He said his best timing to date for the full marathon is around 2:25. That would make him at his peak the equivalent of being sixth among Indian full marathon runners at the 2015 SCMM. And 2015 is around 30 years since Savio’s heydays. “ That’s what I am telling you – that many years ago with much less money and facilities in Mumbai, we had timings in long distance running that matches the timings reported today or were better,’’ Savio said. Indeed the late Shivnath Singh’s national record in the men’s marathon – 2:12:00 – set way back in 1978, still ruled at the time of writing this article, almost 37 years after the timing was reported. 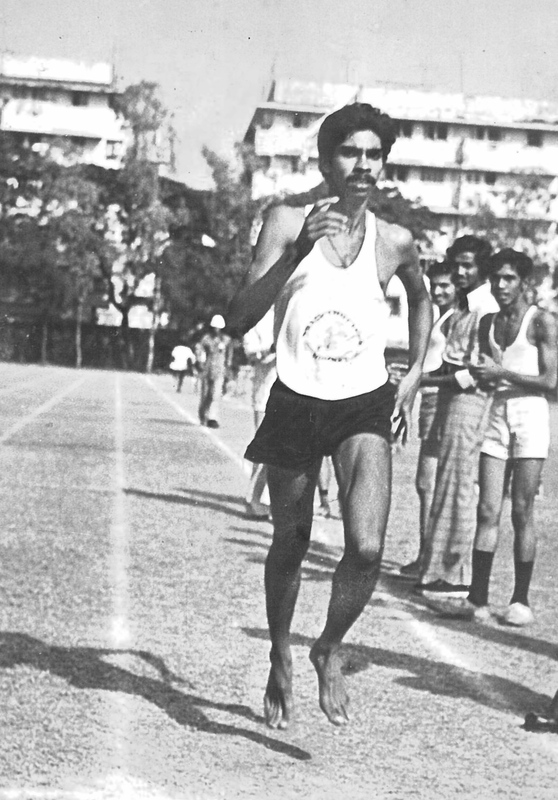 The Mumbai athletics ecosystem of Savio’s time seems to have been different. From his file, a November 1983 edition of Sportsweek reported on the Runathon, a 12 km-run through Central Mumbai, won by Savio. Other reports spoke of the annual Sportsweek Road Races, five in number, with an overall winner at the end of the series. If media be window to given times, it is interesting to note that most of these reports are detailed and although cricket is dominant news by a wide margin, athletics gets a fair amount of space. Uniquely, unlike contemporary news reports on running which tend to be event-focussed, highlighting the spectacle of event, these old reports dwell more on athletes and less the event. There is an intimacy in the reportage. Savio was national champion from 1984-1988. According to him, in addition to Sportsweek lending its name to running events, many of Mumbai’s private and public sector companies maintained teams in athletics. 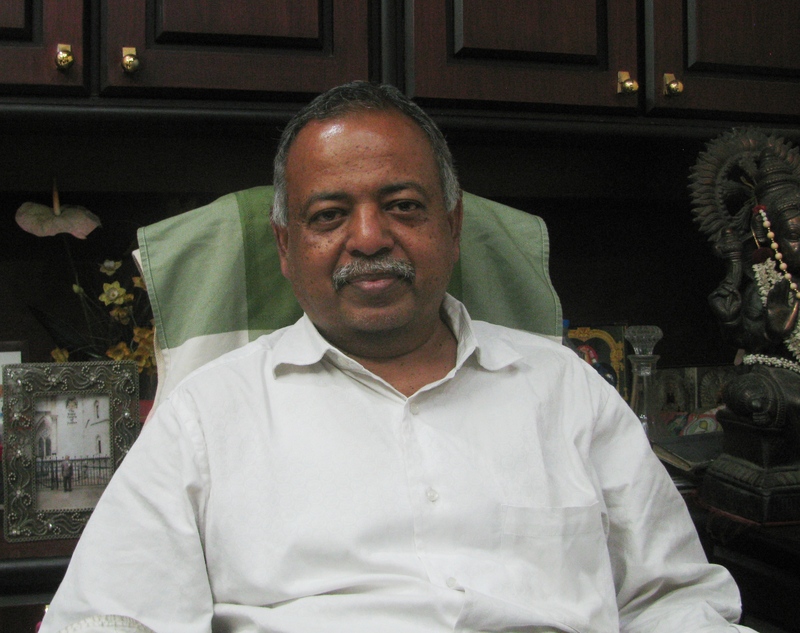 Mafatlal – the company Savio worked for – had teams in football, cricket and athletics. The city had several athletic meets in a calendar year and each of those races saw the best turn up. Mumbai had a fine share of India’s best for the local ecosystem was breeding and grooming talent. Athletics saw the city’s senior officials arrive to encourage and support. Shashi Kumar Nair, former athlete who is now a senior government counsellor and lawyer at the city’s High Court, recalls S.K. 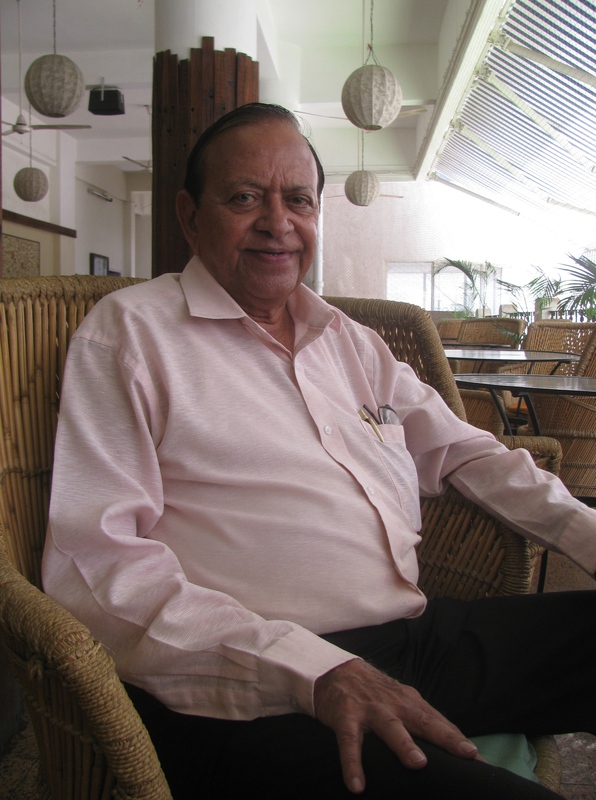 Wankhede (former president of the Board of Control for Cricket in India), O.V. Kuruvilla (former chairman of the Central Board of Direct Taxes) and R.R. Chari (former commissioner of Income Tax) as among those who regularly visited the University Ground to support athletic events. On its part, the public turned up to cheer for they knew they were in for a treat as Mumbai had good athletes. All that community engagement either dried up or similar events continue but without the overall social interest. “ Now we don’t have good long distance runners. Maybe some in Pune and Nashik, but Mumbai – no,’’ Savio said. Two fantastic sports clubs, committed coaches, an accessible track to train on and roads shut down for people to run – these seem to have been old Mumbai’s magic potion to create athletes. 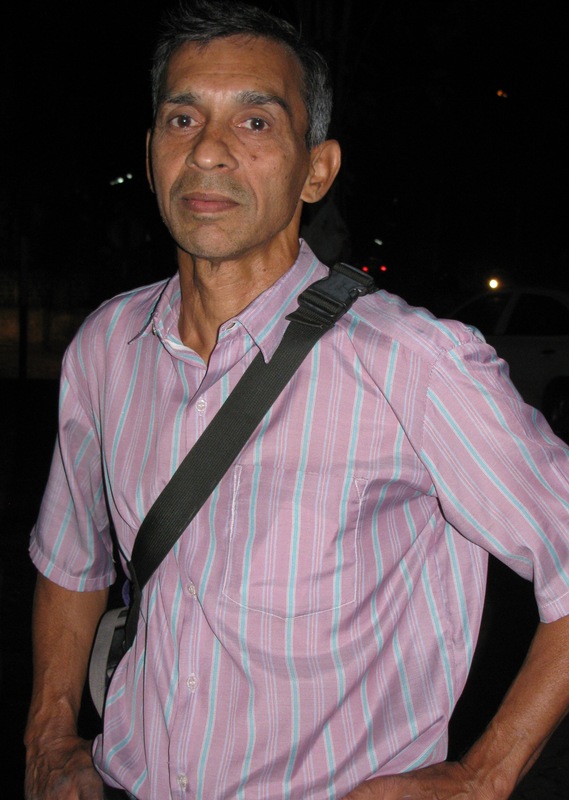 For Edward Sequeira aka Eddie, the centre piece of old Mumbai’s infrastructure for athletics was the track at the Bombay University Sports Pavilion, popularly called University Ground. 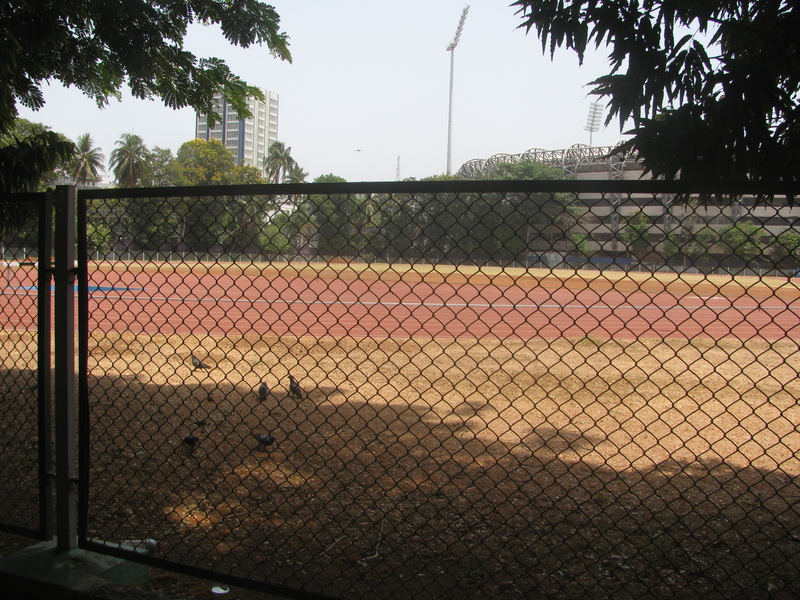 Essentially a track and field facility in the city belonging to the local university, this ground in South Mumbai was where Mumbai’s athletes – from state level to Olympian – converged to train. University Ground had a 400m-oval shaped track, two curves and two straights. “ This is the standard track,’’ Eddie said. The convergence of athletes here was courtesy two sports clubs possessing an evangelical fervour for promoting athletics – Tracktrotters (that is how the name is written) and Juhu Sports Club. Eddie – he is an Olympian, Arjuna Award winner, former Asian record holder in the 1500m and former national record holder in the 1500m, 5000m and the mile – is one of the founding members of Tracktrotters. Both clubs were near similar in what they wished to do and did, although some people cited a distinction by economic flavour with Tracktrotters being very middle class and Juhu Sports Club having a relatively well to do crowd. Tracktrotters’ origin goes back to the late 1950s, to a group of senior athletes training together at the St Xavier’s Gymkhana, Parel. In 1962, they became Tracktrotters. The club charged nothing for its coaching. Parents brought their children for prospective training or youngsters approached on their own. “ We would sometimes test the candidate. That was all,’’ Eddie, 75, said. From 1969 onward, Tracktrotters’ regular training was at the University Ground. Although neither the two clubs nor all their trainees belonged to the university, the authorities supported their endeavour. Both clubs maintained boxes on the premises to store gear and equipment. Their coaches, training free of cost, were passionate and committed about what they did. 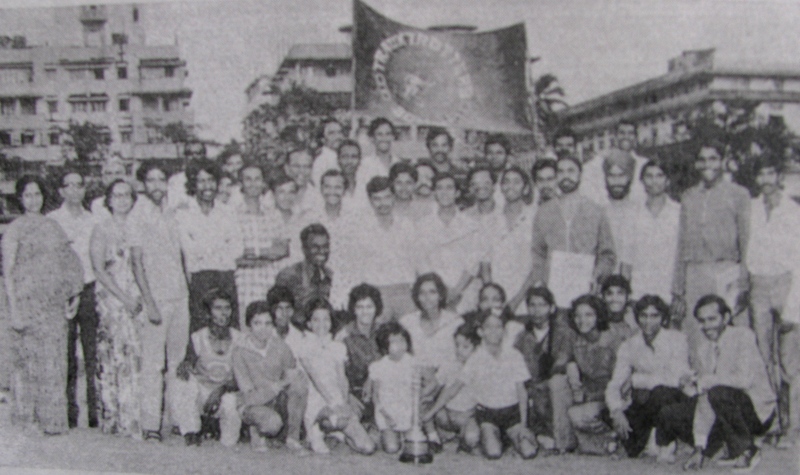 Tracktrotters coaches included Eddie, Mervyn Jacobie, Alex Silveira, Philip Silveira, Vasant Kumar, Prithviraj Kapoor and Peter Rodrigues. The best known from Juhu Sports Club was Bala Govind, who now works in Nashik. He confirmed, training at the Juhu Sports Club also happened free of cost. “ Those days, the concept of charging money wasn’t there,’’ he said. And they produced results – many of Mumbai’s leading athletes from the period had links to these clubs and University Ground; among them – Eddie and Savio. A friendly competition prevailed between Tracktrotters and Juhu Sports Club. This was the athletics ecosystem then. “ Those are the days I will never forget,’’ Eddie said. Mervyn Jacobie is remembered as a great coach by many. 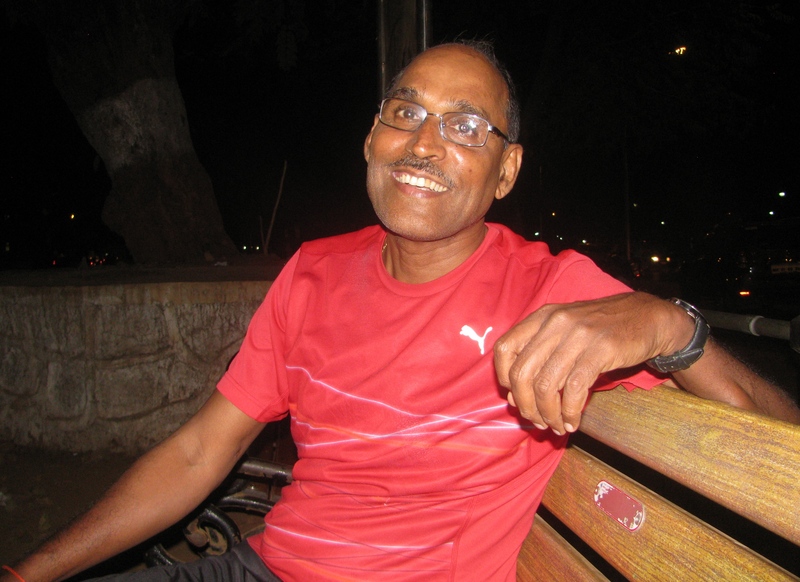 An evening in April 2015, at the playgrounds of Five Garden, Wadala, we met Ashok Shetty, an official at the Mumbai Port Trust and former state champion in the 400m, 800m and 1500m. Born into a poor family residing in Parel, his ability in sports was first spotted by Oliver Andrade, a well known coach in the city those years. Ashok’s first rendezvous with competition earned him no podium finish. With a friend who fared better in athletics, the boy landed up at Tracktrotters. At that time, the club practised at the premises of Khalsa College. “ Anyone could join for training. It was free. The first thing Mervyn did was catch me by the ear, tell me to cut my long hair short and report for training regularly,’’ Ashok recalled. By all accounts Mervyn’s methods won’t sustain in today’s environment. Back then, it delivered results. He was a man of medium size, very strict, insisting on punctuality and completely committed to his work as coach. On Sunday, he took a break from coaching to attend church. Mervyn worked with Central Excise; he retired as Superintendent. In due course, Tracktrotters shifted from Khalsa College premises to the University Ground. Every evening, training began at 5PM and went on till 7.30PM. As coach, Mervyn was hard to please. Those who trained under him got whacked – that seems to have been a Mervyn trademark. Once, Savio, on winning a race, went up to Mervyn to share his glee. “ I got a whack and was asked: why did you look back and run? He told me, you could have run faster had you not looked back, ’’ Savio said. Ashok, after a victory went to Mervyn with trophy and some youngsters inspired to join Tracktrotters. Another whack and pointed advice on how to improve. “ I picked up the trophy, which had fallen from my hands and looked around for the youngsters. They had all disappeared!’’ Ashok said laughing. But Mervyn wasn’t this strict perfectionist alone. Unable to afford a railway pass, Ashok used to walk from Parel to University Ground when Tracktrotters first shifted to the South Mumbai ground for practice. An angry Mervyn would whack Ashok for repeated late arrival. Then he learnt that the boy didn’t have money for the daily commute. Mervyn got him a railway pass. When the pass expired, he gave him money to renew it. Similarly, every Saturday, the whole Tracktrotters team assembled at Santa Cruz and travelled to Juhu to run on the beach. The cost of everyone’s travel was borne by Mervyn. “ For Mervyn, coaching was his life,’’ Ashok, 59, said. Major Shashi Tiwari, 50, served with the Indian Army’s Bihar Regiment. He now works with Tata Power. Years ago, he was the national junior champion in 800m and 1500m; he was an athlete at Tracktrotters. “ I spent nine years of my life there,’’ he said. According to him, the main benefit of being at Tracktrotters was that it took anybody in and then put that person through the coaching of a dedicated individual like Mervyn. “ People like Mervyn are hard to find in today’s world,’’ he said. Incidentally, that old Tracktrotters souvenir concluded with a “ list of members – past and present.’’ They numbered around 352. Of them, 239 – that is 68 per cent – had won medals at regional, state or national levels or been participant at international level competitions. Some of them qualified for all four levels of honour. According to Eddie, the decline in Mumbai athletics started about twenty years ago when the university refused permission for outsiders, including the clubs and their wards, to train at University Ground. The exact reason for this development is unclear. Eddie loved this ground, which had built him into the sportsman he came to be. 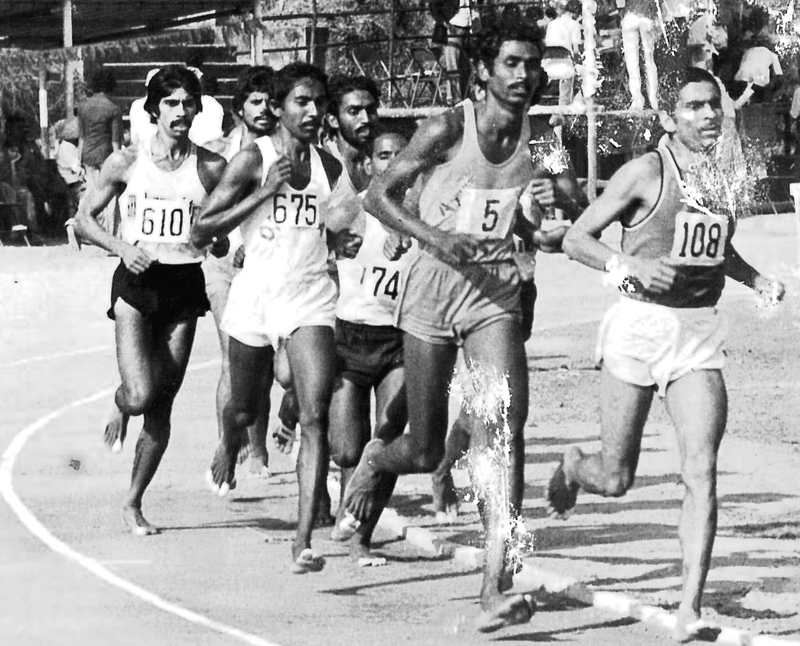 In 1982, after the Asian Games in New Delhi, Mumbai’s University Ground had also been venue for a six nation-athletic meet organized by Tracktrotters. So in 2011, when India’s decision to host the cricket World Cup saw its organizers seek space to expand the Wankhede Stadium and think of encroaching on the nearby University Ground, Eddie put his foot down. He and Shashi Kumar Nair drummed up enough support to prevent any such move. Today the ground survives. It even has a new synthetic track. Access however isn’t as free as before (an official at the office adjacent to the stadium said that the ground is mainly meant for university students; others get to use it if their application is approved). Besides, a new road leading to the cricket stadium has allegedly eaten into what used to be the old athletes’ warm-up area. Can a giant city’s position in athletics decline simply because a ground shut its doors to the public? Eddie explained it. The question is not the ground per se but what it did and how it worked in combination with the two clubs. The University Ground is perfectly located. Although in South Mumbai, it is accessible by road and rail. It had the city’s only good running track years ago; it has a new synthetic track now. What it did as part of the matrix offered by the clubs and their training, qualified the years gone by. In those years, Mumbai was catching its athletes young. Unlike most games, athletics is an individual sport. Physically demanding, you peak early in it. “ You can be a national champion at 16 or 18 years of age. That is why you have to catch them young,’’ he said. Old Mumbai was interested in sports; it scouted for young talent and found it. Still restoring a ground to regular public use is only part of the panacea. If you want a revival in athletics, the issues to address are several. To start with, today’s children – including Mumbai’s children – lead lives dramatically different from the children of the 1960s, 70s and 80s. Thanks to contemporary lifestyle, interest in the active life has dipped. A procession of distractions exists – particularly the mobile phone. “ When we trained, we were not allowed to speak to each other or have any distractions,’’ Major Tiwari said. According to him, people from economically challenged backdrops and those hailing from rural areas may still have that required discipline. “ Mumbai has lost it,’’ Major Tiwari said. Veteran coach, Bala Govind, 73, felt that once motivated adequately, today’s children are good. But there is the issue of distraction and how naturally motivated children are toward sports. “ Those years – 30 to 40 years ago that is – were totally different. The children of that time were motivated differently. They saw sports as fun and once motivated, they had no distractions,’’ he said. Currently, even if a child managed to be in sports despite distractions, a major hurdle looms by tenth standard. Studies squeeze out sports. “ In competitive sport, you take a break and come back, your contemporaries have surged ahead,’’ Savio said. With studies stifling sports, another old trait also began drying up. 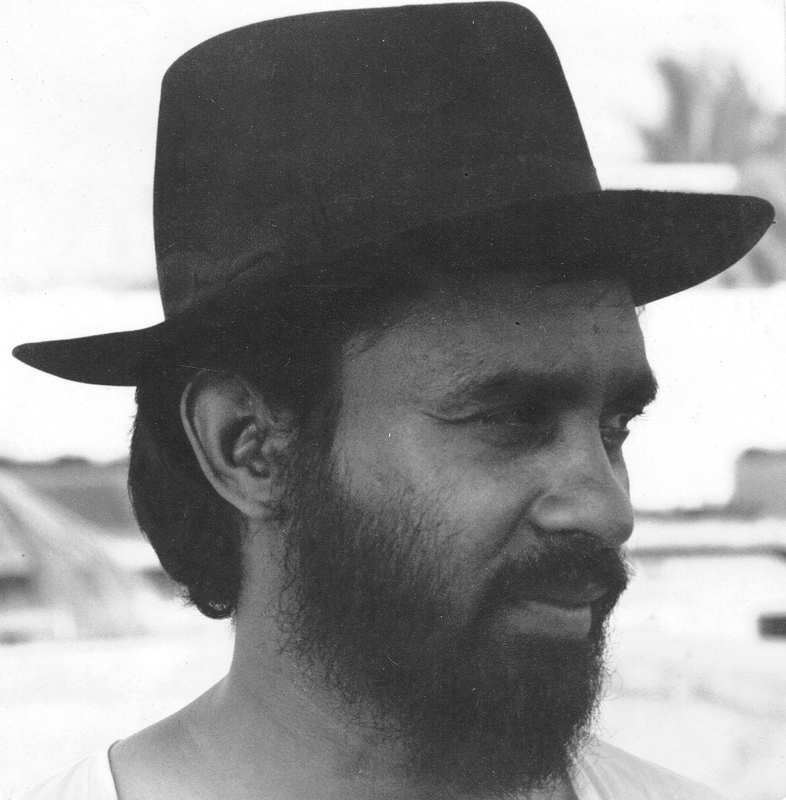 Savio was born in Goa in 1953. After finishing his SSC, he moved to Mumbai in 1972. He was a footballer but didn’t enjoy it. He used to train at the University Ground and got admission at Maharashtra College near Byculla in the city, on the strength of his performance in sports. By 1976, he was representing Bombay University in the 5000m and 10,000m. “ I was noticed. Those days we had talent scouts and a system that provided sustenance to dedicated sportspersons,’’ Savio said. Schools and colleges looked around for good talent. Scholarships were provided. If your athletic abilities earned you a seat at college, your continued performance was noticed by companies who gave you employment. “ Such employment matters. I used to be away seven to eight months a year, training and competing. But my employers gave me a regular monthly salary,’’ Eddie said of Tata Steel. According to him, as per an old estimation of 1982, the Tata Group had in its fold then, six world champions, five medal winners at the Olympic Games, four Commonwealth Games medal winners, 36 Asian Games medal winners, 33 Asian Championship medal winners, 41 Arjuna Award winners, 51 Olympians, 57 sportspersons who had participated in the Asian Games, 54 people who had participated in the Asian Championships, one Padma Bhushan and 11 Padma Sri recipients for contribution in sports. He also said that in those days, Tata companies recruited a sportsperson once every two years. “ The required change has to happen from school level onward. Without it there is no chance,’’ Savio said. He felt, the system of coaching at schools must be changed with sportspersons taking over the task. “ If the coach is a sportsperson, then he or she will make sports happen no matter what the challenge, because they enjoy sports,’’ he said. An interesting aside here is that when Eddie got his first job as a mechanical apprentice at Central Railways, sports was compulsory for railway employees. According to him, a Mumbai revival in athletics could start with training the resident coaches properly; send them abroad so that they get to know what good coaching is and bring it back to the city. He pointed out that unlike the salaried government coaches of today, the city’s old coaches – the ones who blazed a trail at Tracktrotters and Juhu Sports club – were devoted to sports and coaching for the love of it. They charged nothing. And they produced results if Mumbai’s past in athletics is anything to go by. Such passion must return to the city. There has to be more athletic meets. “ Bring back the old road races. Rain or no rain, the Oval Maidan is there; the University Ground is there, Marine Drive is there. Don’t have just one meet in a year – of what use is that?’’ Eddie asked. Finally “ forget about seniors; focus on juniors.’’ He wanted corporate sponsors for junior teams. “ My suggestion is that every big company should have at least one athletics meet for juniors,’’ he said, emphasizing alongside that the habit of pushing in over aged persons into junior categories to win prizes, should stop. According to Eddie and Shashi Kumar Nair, Tracktrotters is hoping to make a comeback. The club held a general body meeting in this regard attended by 50-60 old members. “ From the club’s side, we are giving the commitment that we will return the old glory to Mumbai athletics,’’ Nair, vice president, said. A name given by young climbers, it speaks much about the older gentleman whose name features in it. Like all of us, Franco Linhares is inevitably growing old in life. But as he does so he is getting younger in climbing. You see him every evening at the small climbing wall at Podar College, first showing youngsters new to the sport the basics of climbing and then, doing some hard routes with the seasoned addicts. On weekends he turns up at Belapur, where the house of Abhijit Burman (aka Bong) has long been assembling point for climbers heading to the nearby crags. At 65 years of age, Franco is Mumbai’s most consistently active rock climber. He has been climbing for over three decades. That boulder in Belapur was aptly named. Warm-up is a sign of things to come and Franco in climbing is proving to be a bit of a Benjamin Button. In the early 1950s, Franco’s father was stationed at Abadan in Iran, location then to one of the world’s biggest oil refineries. Franco was born in Abadan in 1950. The refinery belonged to the Anglo-Iranian Oil Company (AIOC). In 1951, Iran nationalized oil properties. Refining ground to a halt at Abadan and riots broke out (a settlement was reached in 1954, which lasted till 1973 when the National Iranian Oil Company [NIOC] took over all facilities. The period from 1951 to 1954 is called The Abadan Crisis). Franco’s family moved to Mumbai and onward to Seria in North Borneo, South East Asia, where the oil company, Shell, had a refinery. Seria became Franco’s next home. In 1960, given his father’s desire that the children be educated in India, Franco shifted to Mumbai with his sister. The Linhares family hails from Goa. Among Indian communities, Goans are noted for their love of sports. Franco attended the St Sebastian Goan High School at Girgaum in South Mumbai. His days there were filled with sports and games. “ My love for sports came from this school. Those were my formative years,’’ Franco said. Later he majored in Microbiology from Mumbai’s St Xavier’s College. By 1967, his family was also back in Mumbai for good. To keep himself occupied, his father worked at the United Services Club in Colaba, at the Archbishop’s House and eventually served a long stint at the Victoria Church in Mahim handling administrative matters. While looking for a job after graduation, Franco chanced to do a course at Bharat Laboratories in laboratory testing procedures. Course done, he commenced working for the company. He kept applying for jobs alongside; ` medical representative’ being much fancied those years. In 1973, Franco found long term employment at Hoechst Pharmaceuticals with a job in their quality control department. Every evening after work, he played hockey. This was on the road in front of his house in Mahim. Roads then were relatively free of traffic. They were playgrounds at hand. He also played for Hoechst in the company’s hockey and football teams, playing up to the senior division in hockey. Purists in climbing and hiking, look down their nose at commercial trips. Yet it is through such visits that many Indians begin their engagement with the great outdoors. In 1979, Franco reached Kashmir as a tourist on a trip arranged by the Mumbai based-Lala Tours and Travels. On return he realized one thing – he visited Kashmir, yes; he saw nothing of its high mountains and wilderness. So the following year he went on a trek to western Sikkim. His companion on the journey was the late Roque D’Souza, a maths major from St Xavier’s working at Ciba-Geigy (subsequently merged with Sandoz to form Novartis) and a regular at the evening hockey matches. Franco’s first Himalayan trek was initially challenging. On the first day he had a tough time adjusting to the altitude. Then everything was fine. In 1981, he went to Chanderkhani Pass in Himachal Pradesh. The next year, he trekked to Sandakphu. On this trek, most of the camp leaders were from the Mumbai based-club, Girivihar. They used to discuss climbing. It was Franco’s introduction to both the subject of climbing and the club he would eventually come to be identified with. Girivihar is Mumbai’s oldest mountaineering club. 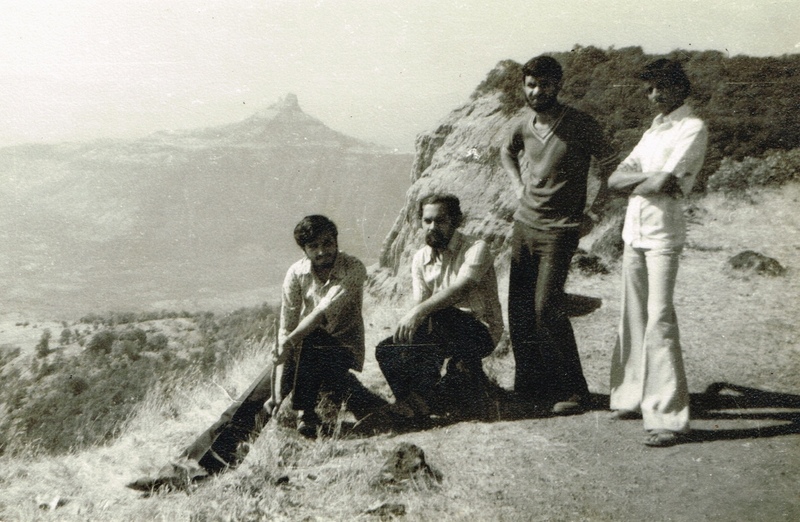 Soon afterwards, Franco trekked to Matheran and Kalsubai (at 5400ft, Maharashtra’s highest peak) in the Western Ghats (Sahyadri), with Vijay Athawale, a colleague at Hoechst. Vijay quickly became Franco’s partner in outdoor adventures. Their friendship, strong to this date, can be gauged from Vijay’s recollection of events past, starting with “ 1st September, 1977’’ – the date he met Franco for the first time at the Quality Control Lab of Hoechst. Mumbai and Hoechst were new worlds for Vijay, hailing from a distant place, educated in the vernacular language and not even fully done with his degree course. He wrote in, “ I was obviously afraid of everything around. Franco was my role-model. Calm, soft spoken, a thorough gentleman and at the same time, mischievous, ready to participate in all sorts of picnics and parties! Our chemistry matched from day one.’’ According to Vijay, one of Franco’s friends pulled Franco out on a monsoon outing and Franco in turn, pulled Vijay in. That’s how their partnership began. The outdoor bug got them and then, others at office. “ What started as monsoon outings, slowly changed to one day treks and later to overnight hikes,’’ he recalled. Vijay had heard of the annual rock climbing camp conducted by Girivihar, wherein rock climbing skills were taught. Franco and Vijay attended the camp held at Kanheri Caves inside the Borivali national park. It lasted three to four days. From then on, for several years, Vijay and Franco went for every trek and climb organized by Girivihar. “ We just liked it. It was great to be out,’’ Franco said. With Harish Kapadia’s guidebook for trekking in these ranges available in the market, the Sahyadri became playground for Mumbai’s outdoor enthusiasts. Given their regular attendance at club activities, Franco and Vijay were quickly co-opted into Girivihar’s management. Vijay was made secretary straight away. “ I was in the management committee as a sort of assistant secretary to Vijay,’’ Franco said. Those were the days of cyclostyle; the days preceding email. The schedule of outdoor activity for a specific period of time would be drawn up. It would be cyclostyled and posted to club members. Franco recalls doing this after his daily work at Hoechst. The Girivihar rock climbing camp had been Franco’s initiation into climbing. Besides Borivali national park, the other climbing crags in the Mumbai region then were at Mumbra and Kalwa. Unlike today, very few people had climbing shoes. Climbing was mostly done in `Hunter’ shoes, a model of canvas shoe with ankle guard and rubber soles made popular by Indian shoe companies. Occasionally, a climber or two seeking better grip on rock, pasted a strip of high friction rubber to the soles. Climbers set out early in the morning and climbed as much as they could. The club’s climbing itinerary was mixed – it also included ascents of pinnacles, a pursuit that enjoyed considerable popularity in Maharashtra, where the Western Ghats are enmeshed in local history. Much of the climbing happened on weekends. That meant, major Girivihar climbs like the first ascent of the Khada Parsi pinnacle near Nane Ghat, took the club a few weekends to accomplish. The climbing style on rock was trad, that too within the limits of available climbing equipment. Right up to the early 1990s, India was a protected economy. Good climbing gear was hard to obtain and expensive. This did not impede the climbers of those days from choosing bold objectives. Their approach to climbing was however different from today; in particular, you read a route keeping in mind one’s competence and available equipment, before you climbed. Some of the pinnacle-climbs were personal projects. The club had a published itinerary of activity but was open to the private initiatives of its members. In 1984, Franco was part of a team of friends who trekked to Annapurna Base Camp in Nepal. “ We went self supported, carting along 40 kilos of stuff only to find that everything was available along the way,’’ he said. In 1985, he got into his first Himalayan mountaineering expedition with a seat aboard Girivihar’s trip to climb Swargarohini and Black Peak in Garhwal. He hadn’t yet done his mountaineering course but he was taken along as he had been regular at rock climbing in Mumbai. 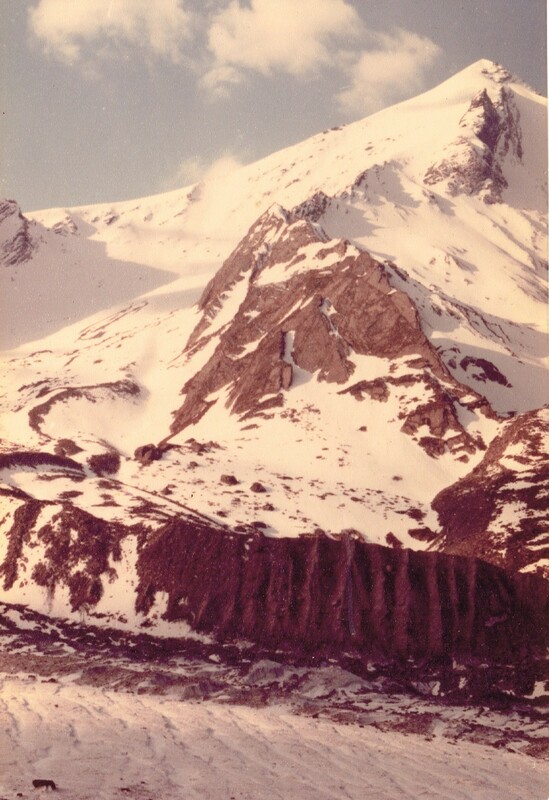 Black Peak was assigned as potential climbing objective for the club’s ` junior team,’ while the seniors attempted Swargarohini I and III. 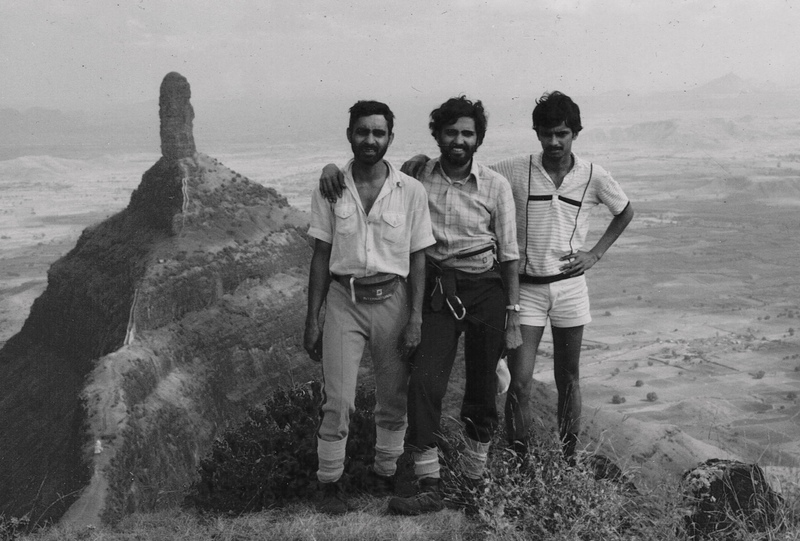 On this trip, Franco and two others climbed Ruinsara. He had until then never held an ice axe, never worn a plastic mountaineering boot. However, he didn’t find the transition from climbing on rock to climbing on snow difficult. An engagement with the outdoors, begun in the fallout of a commercial trip to Kashmir in 1979, was now assuming serious proportions. 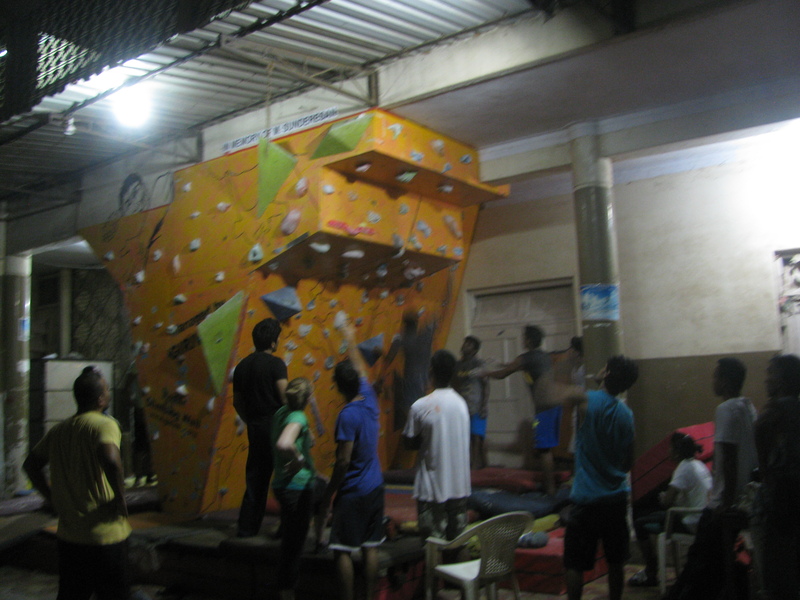 In October 2013, I chanced to witness a climbing competition at the Podar College-wall (for details please visit https://shyamgopan.wordpress.com/2013/10/04/bouldering-competition-at-podar-college/), organized by Girivihar. Quietly standing by, watching the proceedings was Pio Linhares. During a brief conversation at his house in Mahim, Pio, 93, recalled some of his own old adventures – among them travelling with a convoy of trucks during the beginning of World War II, from Mumbai to North East India and across the border through Myanmar and Thailand to Singapore. That was when he worked for the Ford Motor Company’s Mumbai office. The Abadan years were after this phase. I asked him what he thought of his son’s affection for climbing and the outdoors. Was he prepared for the dimensions it acquired? “ I allowed him to do what he wanted. I did not hold him back. It is when you restrict somebody that they get frustrated and you need to worry,’’ Pio said. In 1986, Girivihar decided to attempt Kamet (7756m). Franco couldn’t find the required leave to join the team. He helped reach the expedition’s gear all the way to Malari and then returned to Mumbai. Away in the Himalaya, on the Kamet trip, the idea of another expedition was born – an attempt on Kanchenjunga (8586m), the world’s third highest peak. According to Franco, Kanchenjunga wasn’t the first choice. The club’s first choice was Everest (8850m). Everest via its normal route was already booked and the available opportunity was a climb via one of the harder faces. That’s how Kanchenjunga entered the frame. The club’s junior team was told clearly – they needed to do their basic mountaineering course. By now the `junior team’ – it had the likes of Franco, Vijay, Sanjay Chowgule and Amod Khopkar – had been climbing regularly. In 1986, Franco did his basic course from the mountaineering institute in Manali then called the Western Himalayan Mountaineering Institute (WHMI). Attempting a big mountain like Kanchenjunga requires preparation. The club’s junior team was told to select a peak and plan an expedition. They decided on Hanuman Tibba (5900m) in Himachal Pradesh. The team led by Vidyadhar Joshi, included Franco, Amod and Milind Bhide. But it turned out to be a challenging trip with the team’s progress halted by heavy snowing. Eventually Vidyadhar climbed Friendship peak nearby as a consolation. “ Eighty per cent of my trips to the high mountains ended up living in inhospitable conditions and then coming back,’’ Franco said. The Kanchenjunga expedition happened in 1988. Having secured from Hoechst the needed leave of three and a half months, Franco went with an advance party to the mountain’s Base Camp in Nepal. Their role – carry in the expedition’s gear and supplies. The advance party had 300 porters or so. The rest of the team flew to Taplejung and proceeded to Base Camp. Franco’s trek began from Hille, ahead of Taplejung and entailed 14-15 days walk to reach Base Camp at around 18,000ft. This included a three day-walk on the glacier ahead of camp. After reaching Base Camp, the team set out to establish Camp I. Kanchenjunga was a powerful influence on Franco. That expedition shaped the reputation he would subsequently have at Girivihar. He went up to Camp 4, at around 24,000ft on the mountain. He spent two nights there. There were suggestions that he proceed further up. He declined the offer. Didn’t a potential shot at the summit interest you? – I asked him. After all, the summit is where every mountaineer wants to be. “ I was completely exhausted and hyperventilating like mad. I was at the end of my tether. Saying no wasn’t a difficult decision for me,’’ Franco said. Girivihar’s Kanchenjunga expedition – it was the first Indian civilian expedition to an 8000m-peak – failed by a thin margin. It saw two climbers – Charuhas Joshi and Uday Kolwankar – reach above 8000m. It also saw the tragic demise of a team member, the expedition’s deputy leader Sanjay Borole. Amid this, Franco ended up spending 28 days above Base Camp on the mountain, a significant altitude for someone to stay that long at a stretch. When the expedition was wound up, he volunteered to go with the party carrying down the body of the deceased member and proceed onward to Mumbai. This trip included another duty en route – he was deputed to meet Elizabeth Hawley, the legendary American journalist who kept a record of expeditions and climbs in the Nepal Himalaya. He also spent some time wandering about Kathmandu with his newly gained mountain-look. One of Franco’s memories of Kanchenjunga is the huge beard he acquired during the expedition. He roamed all around Thamel sporting the beard and kept it on till he got back to Mumbai. Franco considers the Kanchenjunga expedition as having been very important for Girivihar’s junior climbers like him. They climbed high on Kanchenjunga, spent much time on the mountain and worked in several camps. He recalled the case of Shantanu Pandit, who was also an upcoming climber like him at that time. Shantanu became one of those who worked the most, having walked in with the advance party and leaving only after expedition’s wrap-up. Vijay had accompanied the expedition’s film crew to Base Camp. “ It was a three month-long strenuous, tragic expedition and very few team members returned home in sound mental and physical condition like Franco did,’’ he said. The very next year after Kanchenjunga, four club members including Franco, went to attempt Menthosa (6440m) in Himachal Pradesh. 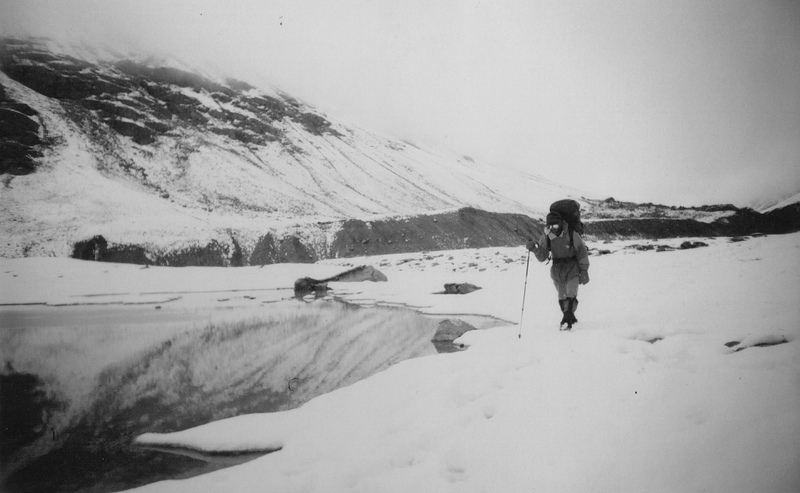 They reached Camp II pretty quickly and could have gone for the summit, except – there was heavy snowfall. The team stayed put at Camp II for three days and then returned. In a second attempt on the peak, some years later, Franco would reach only till Camp I. For Franco, the Himalaya was an on-off affair. “ I used to come off the Himalaya saying – no more of this. But after about a month of being in Mumbai, I would start planning the next trip,’’ he said. In that stage of his life, Franco had an expedition almost every year. Over time however, the zest began dipping. His problems were two – the cold and the altitude. Twice he experienced chilblains. His capacity to acclimatize smoothly also seemed to progressively fade. On an expedition to Shivling (6543m), he had his first bout of nausea at Tapovan (4463m) itself. During another trip to Kang Yatze (6400m) in Ladakh, he chose to halt his ascent short of the summit as he felt exhausted. In comparison, the Western Ghats of Maharashtra (called Sahyadri locally) stayed playground. “ I have been to many places, many times in the Western Ghats and yet enjoyed it every time. I never had that attitude of wanting to visit a place just for the heck of saying I was there. For me, every venture into the outdoors is different even if it be a repeat visit to the same place,’’ Franco said. Shyam Sanap, 32, is a talented climber. At his peak, he was often called the best boulderer in Mumbai. He has known Franco for at least 15 years. According to him, Franco’s climbing has steadily improved. At 65, he is doing some of his best climbing. “ At the wall and at the crags, Franco not only does his share of climbing, he also attempts problems being tried by stronger climbers, much younger to him in age. He does not waste any opportunity to climb that comes his way,’’ Shyam said. Aniruddha Biswas (Aniruddh) reached Girivihar through RC-32. Franco credits Aniruddh for much of the improvement in his climbing that happened in his later years. Time spent in the US saw Aniruddh’s climbing improve dramatically. “ Aniruddh used to keep on encouraging me. I now climb hard. I try to play tag with all the youngsters around. I enjoy it. I don’t care if I can’t do the hard stuff they do. Just attempting it makes me happy. Over time I have realized that I can also do it,’’ Franco said. At the Podar College-wall, I suspect there is more to the young company Franco finds himself in these days, than meets the eye. It speaks of his adaptability. In 2003 Vijay moved to Goa. As they aged, the climbers of Franco’s generation faded, transformed to being organizers or became high priests and commentators of the sport. Franco soldiered on, climbing. 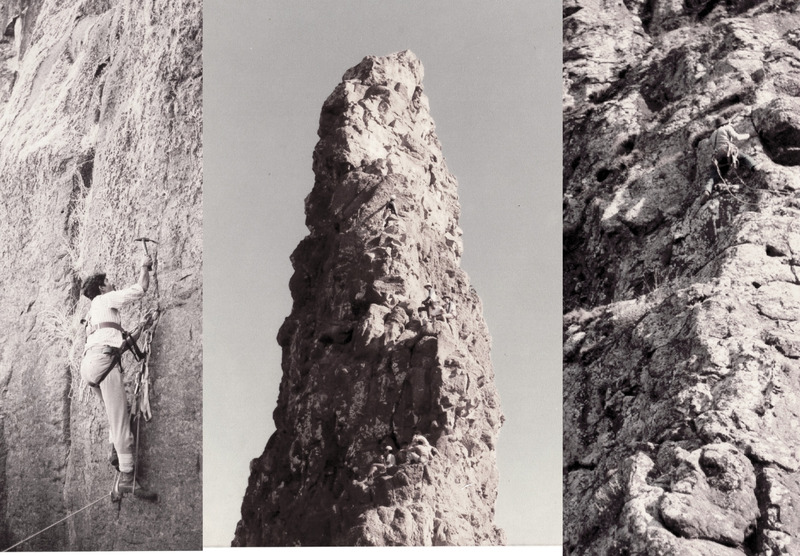 Long ago, it was the old black and white photo from Matheran; later – Girivihar’s classic climbing years, today – the Podar College-wall and Belapur’s crags. The one constant has been climbing and the outdoors; connections with visitors to life built around these experiences. As the clock ticks, the crowd around him has been getting younger. The Podar College-wall is the deep end of such youth. “ It is awesome what he is doing at this age,’’ Anuj Naik, 28, climbing since the past one year at the Podar College-wall, said. Besides many years spent climbing around Mumbai, Franco has climbed rock in various places in India – from Badami, Hampi and Yana in Karnataka, to Pachmarhi in Madhya Pradesh and the Miyar Nallah area in Himachal Pradesh. He has also climbed in Sicily, Italy. “ Now I am thinking of a climbing trip to Greece,’’ he said. Along the way he took voluntary retirement (VRS) from Hoechst, served as president of Girivihar and stayed a bachelor. He is also a devout Catholic who likes his periodic visits to the church. “ I hope I can climb as long as the body permits. I just want to climb rock. I have always loved rock climbing. With all the modern climbing that has taken off, I wish to lead a 7a someday. That is my goal. As regards big mountains, I find altitude and cold challenging. So that is a bit difficult,’’ he said. In the pantheon of climbing grades, 7a is arguably the beginning of truly difficult, demanding climbs. This author is a very average – probably bad – climber. The hardest route he ever led was a 6b or near about. Stand in the author’s shoes, add Franco’s age and say lead climbing – 7a acquires a different hue; it is an engaging challenge. It may seem a bit puzzling – this courting of climbing as pure physicality (which is the image sport climbing evokes) after beholding climbing on a much larger canvas in the Himalaya. In disciplines like bouldering for example, the equivalent of a whole mountain at altitude to tackle, will be a tricky move or two, utterly strenuous but rarely exceeding 20ft in height. Compared to bouldering, bolted sport routes are longer but as predetermined, pre-protected routes they can be said to be partial to highlighting the physicality and edginess of climbing than the art of figuring out an ascent. Franco concedes this. On the other hand, he avers, he has a high tolerance for pure action, physicality and game formats thanks to his old school days. He doesn’t mind the perceived loss of thought and grandeur when world reduces to action filled-sport climbing in finite space. Is there something of a life simplified, a return to old days and St Sebastian Goan High School in erstwhile mountaineer hanging out at the Podar College-wall or dreaming 7a at 65? One wonders. When I first met Franco in the late 1990s, he had just acquired a pair of green classic climbing shoes called Kamet, his first pair. Then a black and purple Boreal Laser was added to the collection. Thereafter as climbing acquired intensity among the devout in Mumbai, climbers – Franco among them – burnt rubber fast. Now he carries an Evolv Pontas, a Five Ten Galelio amd Anasazi to the crags. I asked Franco if he had set out to be a climber. “ I think the story of my life is that I just drifted. I kept doing things, meandered to wherever the current took me, stopped where the current stopped and then, carried on again from there,’’ he said. In Franco’s case this would seem to have become a unique strength. Unlike the average rock climber / mountaineer who bristles with achievement or loves to add arrows to his / her quiver of achievements, Franco has remained a very approachable person. With three decades of climbing under his belt, he has memories and stories. But the way he recollects – akin to taking out an old volume from the shelves and blowing the dust off it – you get the impression that he lives in the now and here. Those who have climbed will agree – that’s one of the experiential imprints of climbing, especially its increasingly young, action filled-genres like sport climbing. At Mumbai’s crags, at the Podar College-wall – that is how people and Franco are. It is a celebration of one move, the next move and the now in both. Along the way, in the many hours accumulated climbing, you notice a passing number – 65.